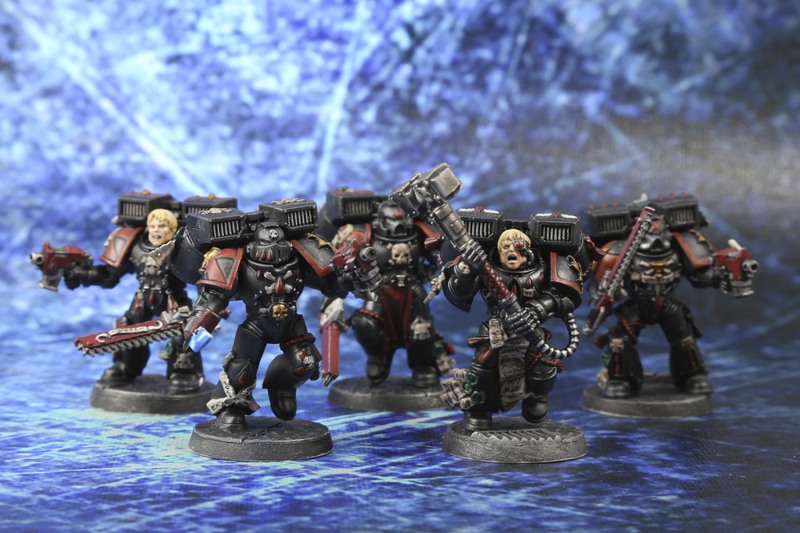 Blood Angels Death Company | 30mm Madness! 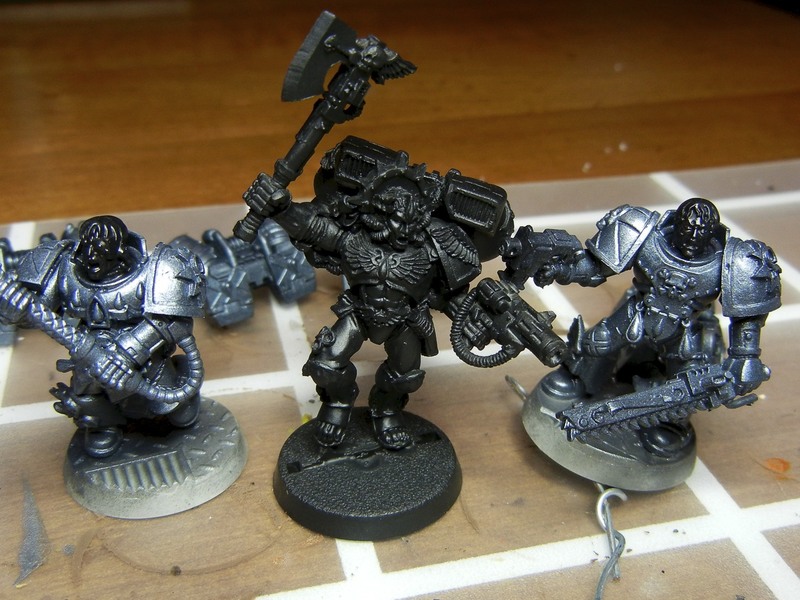 After much deliberation, browsing pictures of ‘black’ miniatures on dakka dakka the only truly black example that I found and liked was at cool mini or not, and I don’t have the skill nor the patience to pull that off… so I decided to give my good old airbrush (read easy blends!) a try. I primed with Vallejo black surface primer, followed by a coat of Reaper Adamantium Black, followed by a highlight of blackened steel. 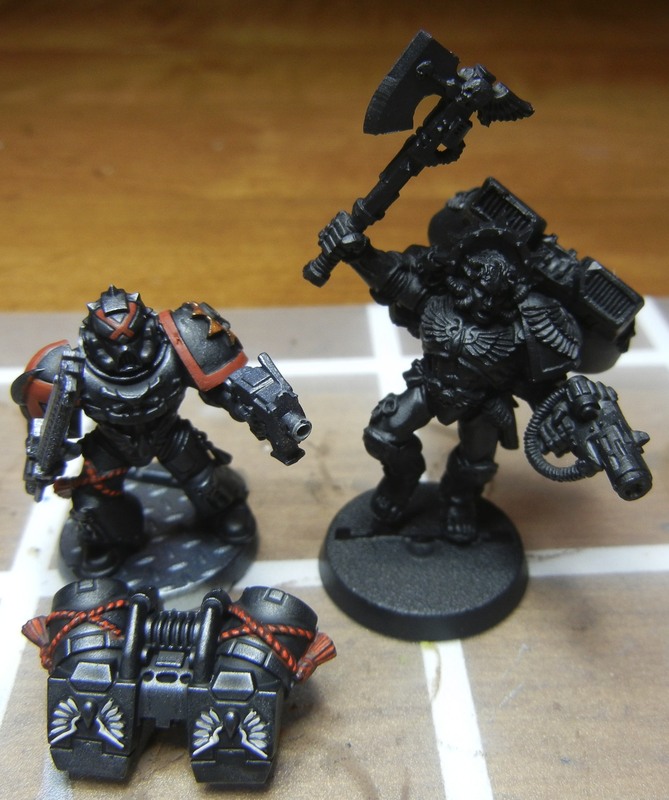 You can see the ‘raw’ airbrush output, which makes the models look very, very grey compared to a pure black model. I then applied two layers of Games Workshop badab black wash, which darkened the grey look significantly. The models ended up looking a bit ‘drab’ and I’m hoping that a satin varnish applied as the last protective coat will add enough shine/contrast/depth to give the effect of highlighted black armor instead of oily grey armor. We’ll see how it turns out! This entry was posted on September 6, 2011 by justinhardin. 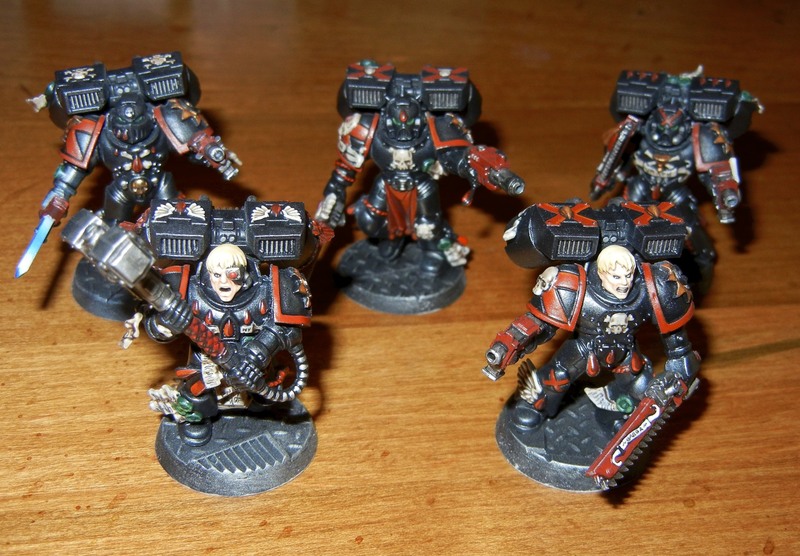 It was filed under Blood Angels, Modeling & Painting, Troops, Warhammer 40K .